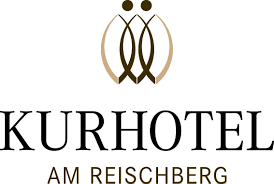 Set in Bad Wurzach, Kurhotel am Reischberg features an outdoor swimming pool, fitness centre, spa and wellness centre, and free WiFi. All rooms boast a flat-screen TV with satellite channels and a private bathroom. Guests also enjoy access to the hot tub and sauna, as well as the hammam and indoor pool. At the hotel, the rooms come with a wardrobe. A continental breakfast is served each morning at the property. There is an in-house restaurant, which specialises in German cuisine and also offers vegetarian, dairy-free and gluten-free options. Kurhotel am Reischberg offers a terrace. The area is popular for cycling, and bike hire is available at the accommodation. Oberstaufen is 41 km from Kurhotel am Reischberg, while Bregenz is 47 km away. The nearest airport is Memmingen Airport, 26 km from the property.